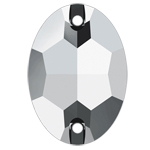 Swarovski 3210 Sew On (flatback) Ovals are multifaceted with 2 holes drilled on each side for sewing. The oval stones features foil on the back of the stone for extra reflection. Rhinestone shapes are great for added design, style and sparkle. 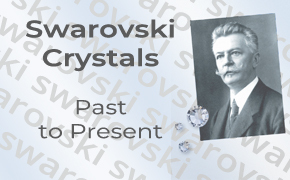 Swarovski 3210 Sew On Ovals are available in 10x7mm, 16x11mm and 24x17mm. They can be attached to fabric through the holes using a mono-filament thread or regular thread, alternatively some use a small seed bead to cover the holes. The sew on jewels are used in many industries for costumes, ballroom dance, Irish dance, dancesport, skating, equestrian, show clothes, and crafts. 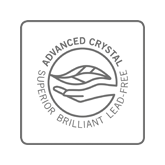 Swarovski 3210 Sew On (flatback) Oval Rhinestones are made of "Advanced Crystal" and are lead free* and compliant with international standards.